Egyptian solo cyclist Galal Zekri is crossing Egypt from Cairo to Aswan, a distance reaching 1100 km, leading a group of 16 cyclists. The 12-day-trip, which started on November 23 until December 3, passes by Egypt’s most exciting attractions such as Ras Ghareb, el-Gouna, el-Qusseir, Marsa Alam, el-Sheikh el-Shazly and finally Aswan. “The human being is capable of wonders, you just need a little empowerment and assistance, and then the adventurous person inside you will rise once it figures out what you are actually capable of achieving,” said Galal Zekri in a press release. Because safety comes first, Zekri invested in providing first aid equipment, best gears, proper communication and an adequate support system. Zekri secured an emergency response plan through the help of “Thuraya telecom, and Alkan C.I.T which provide the voyagers with Satellite connections, and allow them to access internet in the middle of nowhere. Aside from the sat phones, they also have a tracking system that directly updates Wild Guanabana, the main adventure partner with their coordinates and status,” according to a press release by The NS Crossing, a project that arranges long-range cycling expeditions. “As much as the one might sound prepared, there is always room for worry, room for human errors, and room for unpleasing natural conditions. We get to be exposed on the highways for quite a long time each day of the trip. Participants have to be paying all their focus on the road, on where they allow their wheels to be setting its prints. It’s challenging, it’s tough, it’s worrying, and only people who are capable of handling their mental sanity are the ones who would manage to complete such a quest,” Zekri added. “It’s not a race, it’s a voyage. And we’re not athletes, we’re voyagers. I would want to sincerely thank all those voyagers who believed in me, who decided to put their trust in me, and who allowed me to give them the opportunity to put them on the right track,” Zekri concluded. 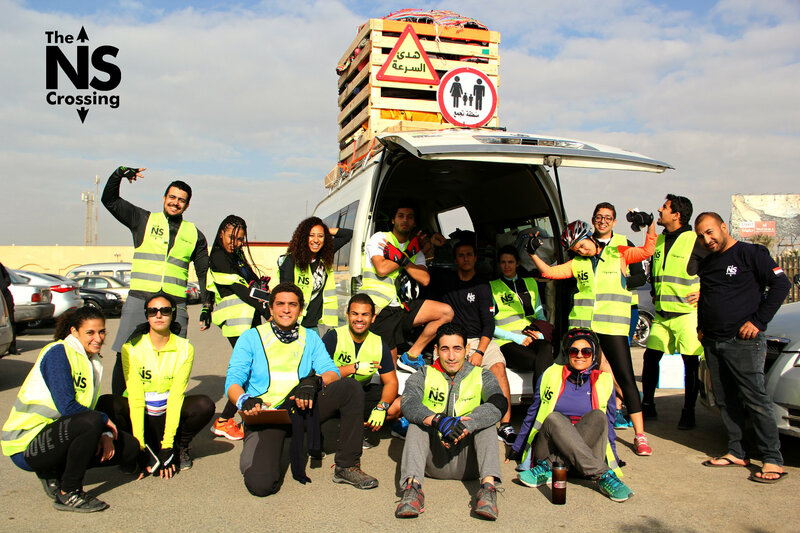 The initiative is endorsed by The Ministry of Youth and Sports, The Tri Tactory, and 3agal Masr – or Egypt’s bicycles. The Egyptian model and actress, Tara Emad and the Egyptian fashion designer Amna El Shandaweely are both joining the trip.